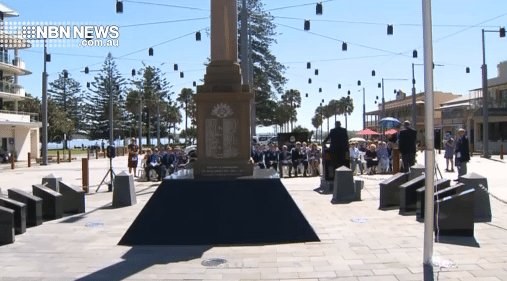 Members of the community gathered in Port Macquarie’s Town Square for the re-dedication of the war memorial. Formerly located on the Town Green, the war memorial is now the centerpiece of the Town Square. Mayor Peta Pinson conducted the ceremony, including the unveiling of a plaque.